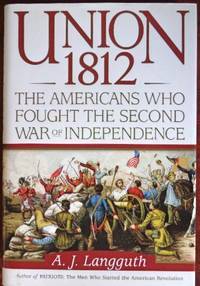 From Union 1812 to A Signal Victory, from	The British At the Gates the New Orleans Campaign In the War Of 1812 to The Proceedings Of a Convention Of Delegates, From the States Of Massachusetts, Connecticut, and Rhode-Island, we can help you find the war of 1812 books you are looking for. As the world's largest independent marketplace for new, used and rare books, you always get the best in service and value when you buy from Biblio.com, and all of your purchases are backed by our return guarantee. A narrative of the War of 1812 links its events to the War of Independence and American beliefs about Manifest Destiny, in an account that documents key battles while evaluating the contributions of such figures as Thomas Jefferson, Dolley Madison, and Davy Crockett. The Battle of New Orleans was the climactic battle of America's "forgotten war" of 1812. Andrew Jackson led his ragtag corps of soldiers against 8,000 disciplined invading British regulars in a battle that delivered the British a humiliating military defeat. The victory solidified America's independence and marked the beginning of Jackson's rise to national prominence. Hailed as "terrifically readable" by the Chicago Sun Times , The Battle of New Orleans is popular American history at its best, bringing to life a landmark battle that helped define the character of the United States. Philadelphia: Pr. for Benjamin & Thomas Kite (J. Rakestraw, printer), 1817. 8vo. 127,  pp. Pacifist addresses the ex-governor of Massachusetts on war, with special attention to the War of 1812. Shaw & Shoemaker 42886; 103230. Uncut copy; without the original wrappers; dusty; occasional foxing confined to margins. Heavy dog-earing to most bottom corners, and paper of spine mostly off. Six-digit number and pencillings on title-page. W.W. Norton & Company, Inc, 1992. Hardcover. Very good/Very good. Dustjacket has some wear along the edges. Cover has light wear. Light spotting on right page edges near bottom. Stated first edition, first printing. Annapolis, Maryland: Naval Institute Press, 2000. 2nd printing; 298 clean, unmarked pages. Signed and Inscribed By Author. 2nd Printing. Hardcover. Near Fine/Near Fine. Illus. by B/W Illus/map. 8 vo. Annapolis: Naval Institute Press. 1997. First Edition; Second Printing. Hardcover. 1557500304 . Book condition is Very Good+; with a Very Good+ dust jacket. Text is clean and unmarked. ; 9.10 X 5.90 X 0.90 inches; 244 pages . Simon & Schuster, 2006. 1st. Hardcover. A NEW bright copy in a NEW vivid pristine dj!!!. Simon & Schuster, 2007. Paperback. Acceptable. Disclaimer:A readable copy. All pages are intact, and the cover is intact. Pages can include considerable notes-in pen or highlighter-but the notes cannot obscure the text. At ThriftBooks, our motto is: Read More, Spend Less.Dust jacket quality is not guaranteed. Guild Bindery Press, 1996. First Edition - First Printing. Hardcover. Fine/Fine. Signed by Author(s). Black cloth boards with gilt lettering on spine. DJ has slight edgewear on top. Not price clipped; mylar protected. 562 pp. Inscribed by Author on front endpaper, otherwise copy is clean and unmarked. Binding tight. A beautiful copy. Definitive biography of Senate giant, J. William Fulbright; forward by President Bill Clinton. First Edition, First Printing. Additional photos available upon request. All items carefully packed to avoid damage from moisture and rough handling. (New-Haven:: Hudson & Woodward, Printers),, .. First edition.. Paper moderately browned; a very good copy.. 8vo, unbound as issued, 8 pages, untrimmed. Unopened. From this fatal cause, we are bereft of the respectable standing we once held in the councils of the nation, impoverished by a long course of commercial restrictions, involved in an odious and disastrous war, and subjected to all the complicated calamities which we now deplore." Dating from the October Session of 1814, the Connecticut Federalists here launch themselves down the official path of arranging for the Hartford Convention. Veteran Revolutionary War General Henry Champion, chair of the specially-appointed Committee of Defence, here reports to the Assembly on the abuses of the federal government; his report had sufficient weight to persuade the Assembly to resolve to appoint delegates to the Hartford Convention scheduled for December 15. While this episode is best remembered for the Democrat-Republican charges that New England was plotting to secede and make a separate peace with England (and secessionist elements there were), the greater part of the demands of the convention--limits on embargos, repealing the three-fifths compromise, limiting presidents to one term, among others--were relatively modest. American Imprints 31219. Alexandria: Printed for the Author, 1812. 56pp, but without the half title. Disbound. Untrimmed. Very Good. Supporting De Witt Clinton for President, the author attacks "the crooked and weak policy of Mr. Madison's administration" for abandoning Jeffersonian principles, and assails the incumbent's "weak and jealous disposition." Madison's "political turpitude and depravity" are set forth in detail. He "was never a sincere friend to the republican cause." Indeed, he was "a bosom friend of the late Alexander Hamilton," and married "Mrs. Pain, a lady of tory principles, now Mrs. Madison; such is the effect of female influence on men of weak minds!" During the Convention of 1787 he supported, not State Rights, but "a consolidated union." As Jefferson's Secretary of State, he retained key Federalists who "betrayed...the wise policy and plans of Mr. Jefferson." Despite English "atrocities," he placed England and France on an equal "footing in their relations with the United States." His "frensied ambition" has caused him to resort to such "pusillanimous subterfuges" to secure his re-election that it "sickens the mind." FIRST EDITION. Howes M201. Haynes 15033. [WAR OF 1812]. Document Signed. Litchfield County, Conn. Ca. 1813-1815. [docketed " Support of the War 1812 "], 1p. On June 1, 1812 the War of 1812 became the first war declared by the United States. New Englanders derisively called it "Mr. Madison's war" and bemoaned its economic impact, especially in coastal areas, where shipping and fishing had been largely shut down by the British Navy. The conflict was so unpopular in the region that a number of politicians who had supported it were voted out of office in the next election. Nonetheless, much of the funding and many of the troops came from the New England, and some of the conflict's signal naval battles were fought just off the New England coast. This document, signed by eight New Englanders, is evidence of that support. The traceable names, such as Asa Prime, Benjamin Stone, John J. Orton, and Elijah Couch originate in Litchfield County, Connecticut, hailing from towns such as New Milford, Reading, and Kent. Their support is both patriotic and pragmatic: the British depredations suffered by coastal New England residents might have seemed distant to these inland farmers in the Northwest Corner of Connecticut, largely out of British reach. Full transcript "Whereas great pains have been taken to impress the public mind with the idea that the War in which we are engaged with Great Britain, is extensively unpopular, and that it will not be supported by the People of New-England, the undersigned think proper to declare, that while they lament the necessity of a War, they are fixed in the determination to support it, till the attainment of an honorable peace . " [Signed by:] Hyman Buckingham / Asa Prime Junior / Benjamin Brown / Peter Forwith / Morgan Holmes / Benjamin Stone / John J Orton / Elijah Couch [Docketed] Support of the War of 1812 Condition Oblong 8vo, creased, faintly toned, generally very good. New York: Simon and Schuster, 2006. First Edition. First printing Fine in tan paper covered boards with metallic red text stamped on the spine. In a fine, unclipped dust jacket. 482 pages including photo credits, index, bibliography, chapter notes and text. Illustrated with a frontispiece, maps and reproductions of contemporary works of art. Albany, 1828. 47, [1 blank] pp. Stitched into modern plain wrappers. Light foxing, several blank margin repairs, faint blindstamp. Good+. The primary weapon of the anti-Jackson forces was his alleged impetuous, unrestrained, martial personality, utterly unsuitable for the presidency of a democratic republic whose success required respect for constitutional checks and balances. Jackson's indefensible shooting of the six militia men after the Battle of New Orleans is described in elaborate detail. The events described occurred during the Seminole Campaign of 1815. Jackson ordered the execution of six soldiers for mutiny. The alleged mutiny consisted of a dispute over whether the soldiers were volunteers for three or six months. AI 36679. Howes J11. Wise & Cronin 512. Sabin 56778. Not in Miles, Eberstadt, Decker. Hartford: Pr. by Charles Hosmer, 1815. 8vo. 39 pp. The proceedings and resolutions of a meeting of 26 New England Federalists. Historians still debate whether the aim of the convention was the secession or defense of New England. "Statements prepared and published by order of the convention of delegates, held at Hartford, December 15, 1814, and printed by their order" (pp. 2838). Shaw & Shoemaker 34871; Howes H-262. Removed from a nonce volume; sewing holes at inner margin, not touching text. Small chip at top right corner of title-page; edge chips at fore-edge of final leaf. Librarian's and previous owner's ink notation at top margin of title-page. A couple of instances of ink mark or notation in margin. Canmore, Alberta, Canada: Amazing Stories, 2003. Reprint Edition . Paperback. Fine/No Jacket. 8vo - over 7¾ - 9¾" tall. Fine red color pictorial trade paperback. (2003), 8vo, , 11-144pp. "In 1812 The United States invaded Canada. "This exciting account of the stalwart defense of Canada and the ultimate victory over the American forces told through the stories of six men and women involved in the conflict. Hartford: Printed; New Haven: Reprinted by Oliver Steele, 1815. 8vo. 32 pp. The proceedings and resolutions of a meeting of 26 New England Federalists. Historians still debate whether the aim of the convention was the secession or defense of New England. "Statements prepared and published by order of the convention of delegates, held at Hartford, December 15, 1814, and printed by their order" (pp. 2132). Shaw & Shoemaker 34873; Howes H-262. Removed from a nonce volume; sewn. Untrimmed. Librarian's notation in blue crayon at upper right corner of title-page. Small ink stain on title-page, slight bug-spotting on final page; staining and foxing throughout. Complete. Philadelphia: Published by Wm. H. Morgan, 1815. Hand-colored aquatint plate, matted, framed in wood. Engraved by J. W. Steel after S. Seymour. 14" x 18". Minor dusting around the blank margins. Very Good. "Print shows, in the center, General Andrew Jackson receiving the salute of General Richard Call while Major Livingston rides up behind Jackson. In the background, American soldiers fight the British" [Library of Congress's description]. The Americans in blue uniforms, the British in red, British and American flags. Title appears beneath the plate. To the left of the title: "American force 6700 Militia. 7 Killed 6 Wounded." To the right: "British force 14000 Regulars. Killed and Wounded 2600." Stauffer 3031. Holden Catalogue 3845. Toronto, Ontario, Canada: McClelland & Stewart Ltd, 1981. First Edition . Hardcover. Fine/Fine. 8vo - over 7¾" - 9¾" tall. 22 MAPS, Fine blue tan specially bound hardcover design of native Indian, flags, drums, bugle, and cannon blind-stamped on upper board. Illustrated endpapers. Fine blue tan illustrated slipcase. (1981), 8vo, , xi-xiv, 15-492pp. bibliography pages 465-479. SPADONI & DONNELLY 3218, Gervais 80:12, Hoy 4404. This first edition copy of the Invasion of Canada by Pierre Berton is one of a limited number which have been specially bound and slipcased September 7, 1981. "...When the campaign of 1812 ended on the bloody banks of the River Raisin, the only Americans left on Canadian soil were prisoners of war. Three American armies had been forced to surrender..."
Washington City: Pr. by R. C. Weightman, 1812. 8vo. 51 pp. U. S. spoliation claims on France and the violation of American neutral commerce. Contains James Madison's letter of transmittal and correspondence between Secretary of State James Monroe and Minister Plenipotentiary Joel Barlow. Shaw & Shoemaker 27236. Removed from a nonce volume; two holes in inner margin, not touching text. Light foxing. Toronto: Musson Book Co., 1929. - War of 1812 novel told through the eyes of a Young Girl in the Town of York [ Toronto ] - a loveable Anne of Green Gables heroine in old York - worthy of a revival - gift inscription on fly leaf, else vg in bright pictorial dj and vg example of the printed gift box.. First Edition. Cloth. Very Good/Very Good. Illus. by L. A. Govey. 8vo - over 7¾" - 9¾" tall.